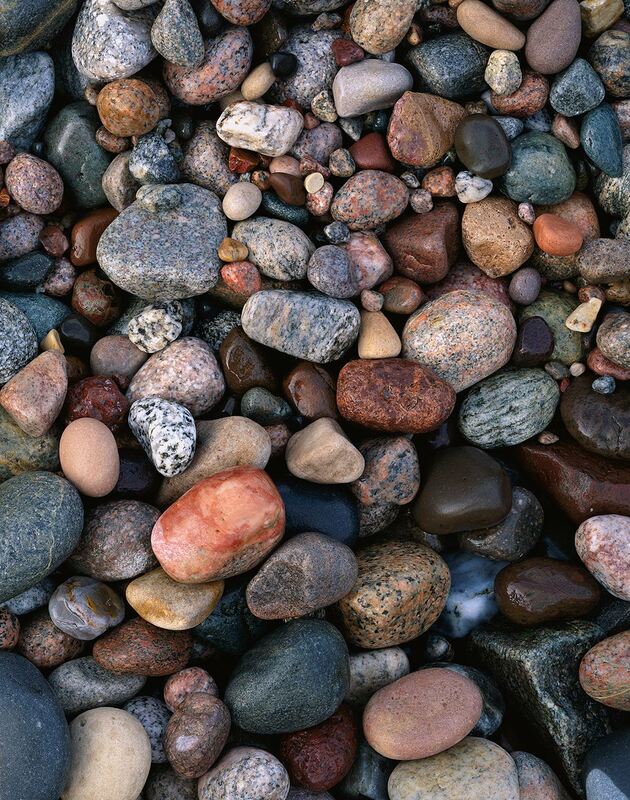 I found this diverse collection of colorful rocks arranged by the surf of Lake Superior near the Au Sable River. These rocks seem to come from all over Michigan, Wisconsin, Minnesota, and Ontario, plucked thousands of years ago by glaciers, then washed by rivers into the mighty lake, to be turned, polished, and carried by the waves to this beach. The waves were still rearranging them as I set up the camera for this shot.